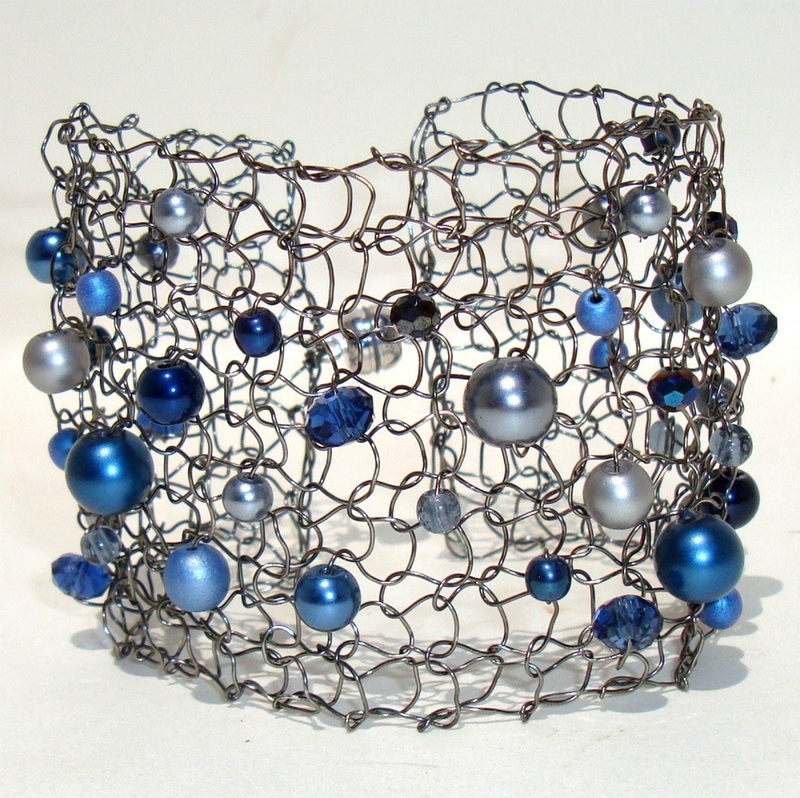 Who doesnt need some classic Navy Blue with a modern twist in their wardrobe? 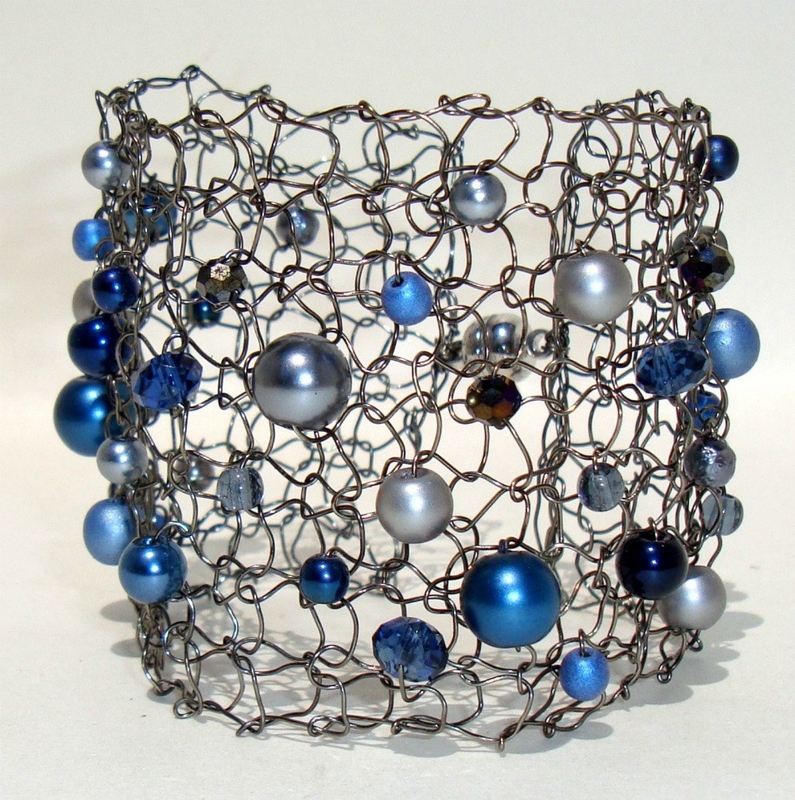 All shapes and sizes of Navy blue pearls and crystals dance along the hand knit wide wire cuff or a truly unique statement. 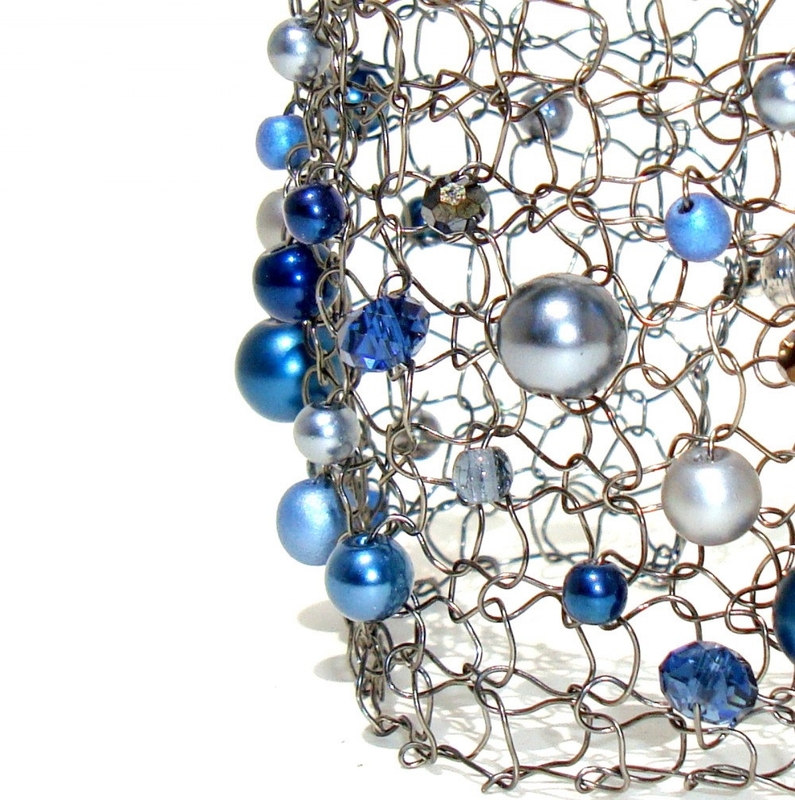 You are sure to get lots of compliments on this piece of hand knit jewelry. Gorgeous for all seasons! 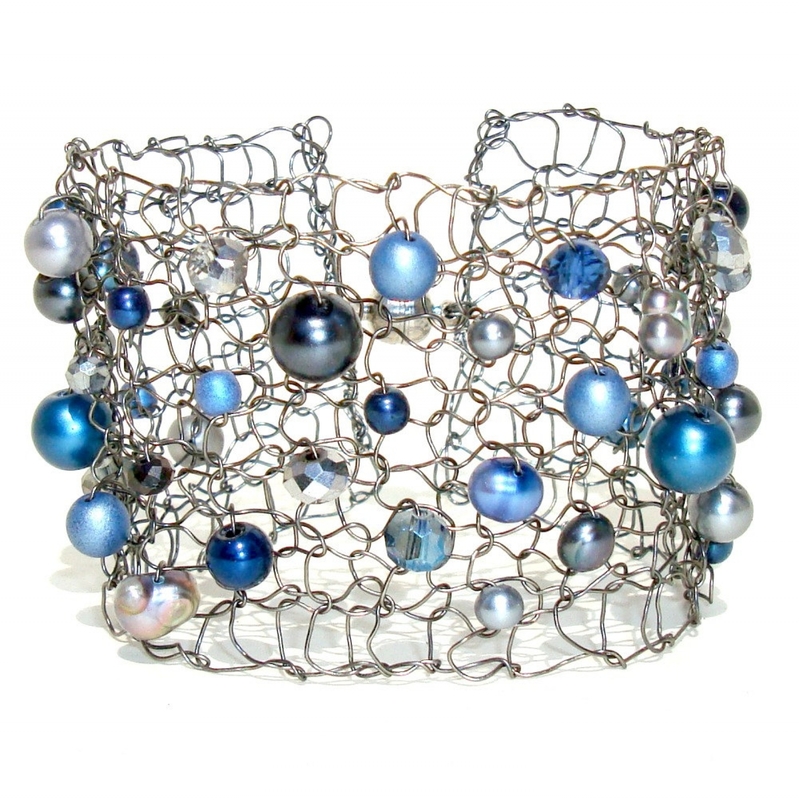 A gorgeous statement for your wrist.This piece is one of a kind, as I hand string and hand knit all of my pieces.